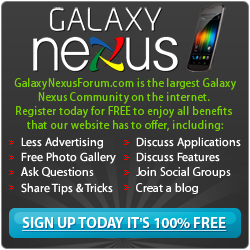 Below you will find a list of discussions in the Galaxy Nexus ROMs [GSM] forums at the Galaxy Nexus Forum - Samsung Galaxy Nexus Community. The Galaxy Nexus ROMs [GSM] forum is for discussion of: This section is dedicated to custom ROMS for the GSM version of the Galaxy Nexus. Sticky: JBSourcery V5.0-GSM [2/24/2013]4.2.2-Setting the originality standard since 2010! HELP! I need a new rom! ROM with audio & otg fix ??? [ROM][4.1.1] (7.11.12)v3 Jelly Belly!!! w/ AwesomeBeats™ Nothin But Butter! losing google wallet functionally after flashing rom?